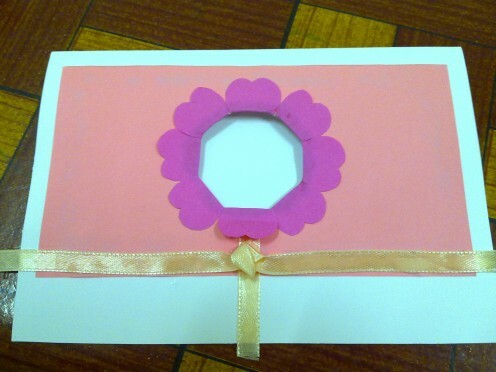 Peachpurple loves to spend some time to handmade greeting cards and gifts at home. She always reduce trash by reusing them. 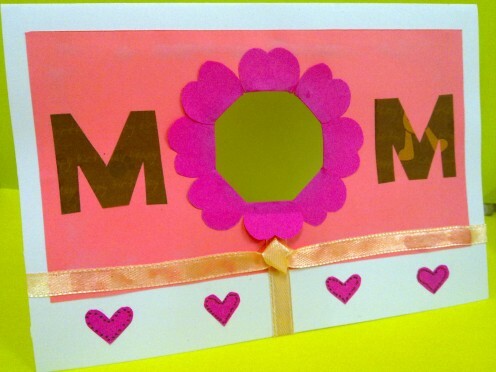 Do you buy or handmade your Mother's Day card? I buy mine from stores. Too busy to make one. I handmade mine at home. I am proud of it. Neither. I don;t give any Mother's Day card. Waste time and money. 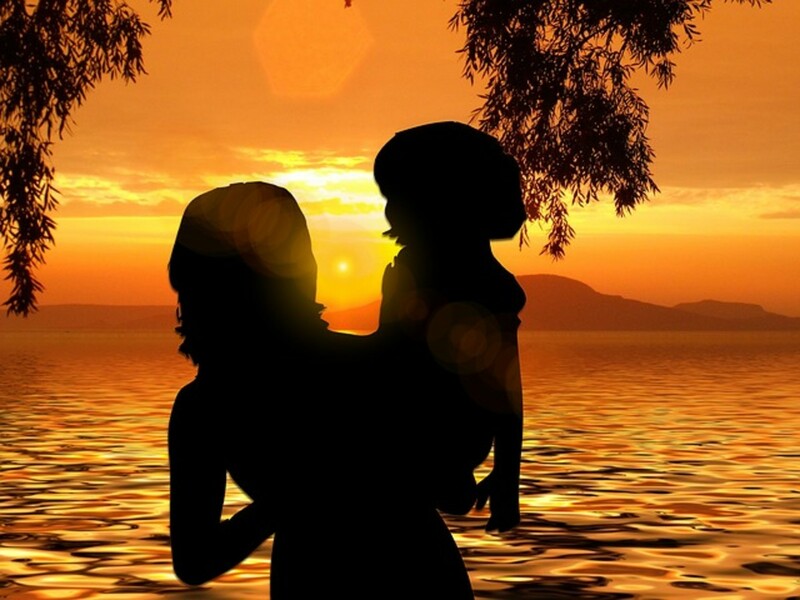 Mother's Day does not necessararily means that it is a day only for moms. Any woman who has left an everlasting impression of motherhood in your eyes deserves to be held as "MOM" on Mother's Day too. As long as this special woman whom you had known for years, was a great person who had inspire you to be a better person, a perfect example of motherly love, who has been closed to your heart, deserves to receive this specially handmade Mother's Card made by you. She could be your grandmother whom had taken care of you since birth. Mother-in-law who had guided you and treated you as one of her daughters. Your god-mother who had supported you with love and support. A nun who had help you when you were lonely ( if you grew up in an orphanage). Your elder sister who had dutifully took the responsibility as a mother since the lost of your mother. Your aunt who has been showering her motherly love for you. Let her know that you her existence is important to you and how much she meant to you. Thank her for her continuous love and support, spiritually guide you when you were lost and the sweet memories you had spent with her together which will linger in your heart as you enter motherhood too. If you are not good at drawing hearts, try using this Martha Stewarts Heart Craft Punch Card. Just slip in the red paper in between the puncher and punch down the hearts. Easy to use and popular for Valentine's Day cards too. This is the second handmade Mother's Day card that I had made for the second consecutive year. This year Mother's Day falls on 13th May 2012, which happens to be today, Sunday, a beautiful day to dedicate all mothers all over the world for spending their life bringing their children this wonderful world, guiding them to the right path, contribution to the family and the unconditional love and support that they had showered. For the past few weeks, I was looking for any other Mother's Day card idea on the web and found a few examples in the Google Image which were rather helpful. I made a combination of two Google Image Mother's Day card into one, which in my opinion, was a brilliant handmade card idea. 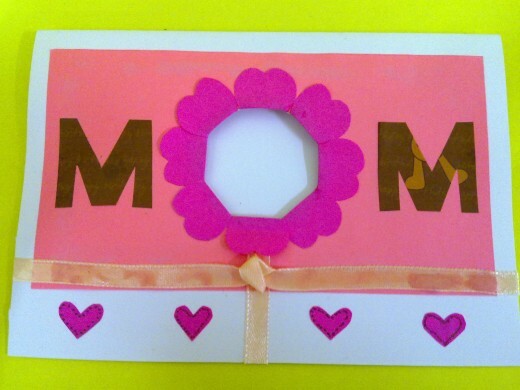 The word "MOM" is commonly used on the front card but creating a hole in the middle, was mine idea. 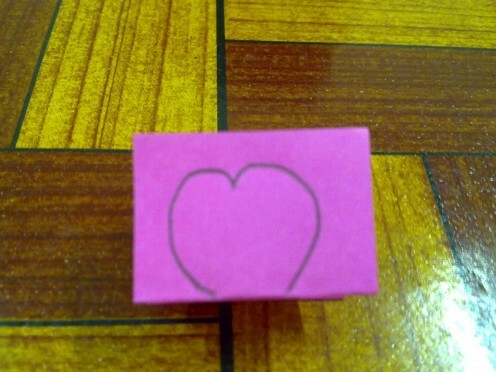 I want to make it extra special by writing the word "LOVE" and pasting the ""heart in the middle of the hole. It represents that in my heart, "MOM" is a symbol of love and she is always in my heart wherever I may be. As for the stem, I replaced it with ribbon instead of drawing it out. 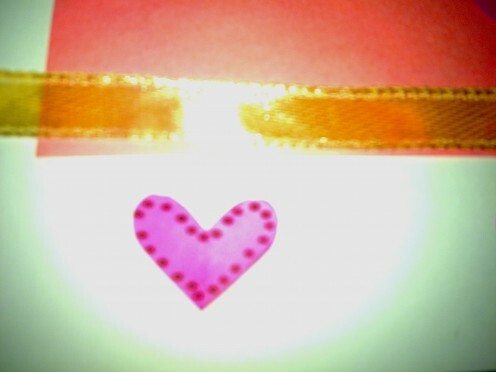 Ribbon always makes a handmade card looks bright and attractive. I added 4 tiny hearts at the bottom because the bare spaces look so boring. Hence, the whole Mother's Day card was an amazing idea that I had created with the help from Google Images. Copy the same idea from other bloggers or hubbers is not a good way to write a hub. I prefer to make some changes to make the card unique and the only one. Hope that you like it too and please do leave some comments after making this lovely Mother's Card. Thanks. Use the white card as the front card. You can use any matte paper or photo paper that weighs 100g. The paper has to be heavier than the construction paper so that it does not feel too flimsy. Measure the white card 8 inch x 6.5 inch. Draw the lines with a pencil and cut along the lines with a pair of scissors. 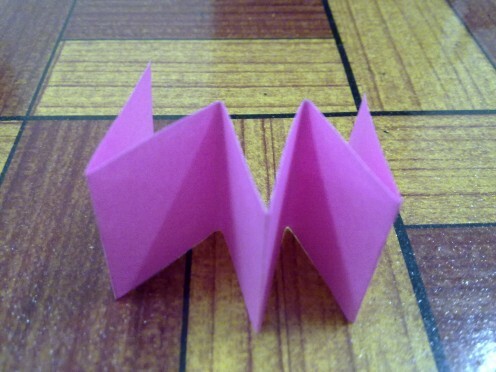 Fold the white card into half. Next, choose a light pink construction paper. Measure the paper 6 inch x 3.5 inch. Draw the lines with a pencil and cut along the lines. 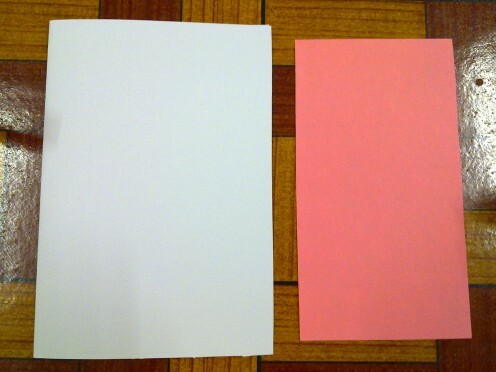 Notice that this paper is smaller and shorter than the white card. 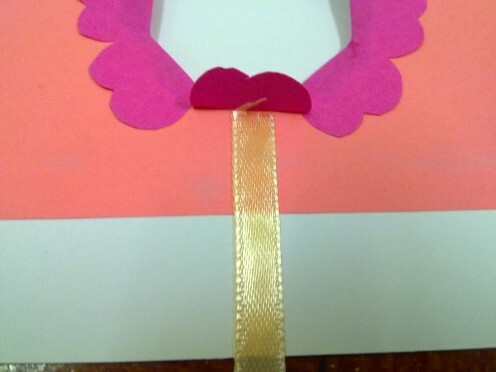 Apply some glue at the back of the pink construction paper. Paste it on the front card, a little higher to the top. Leave a small space at the bottom for the little hearts. 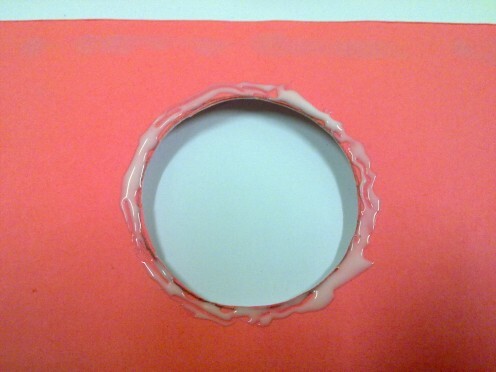 Use any object that is round ( I used a yogurt cup ) to draw a circle in the middle of the light pink construction paper. 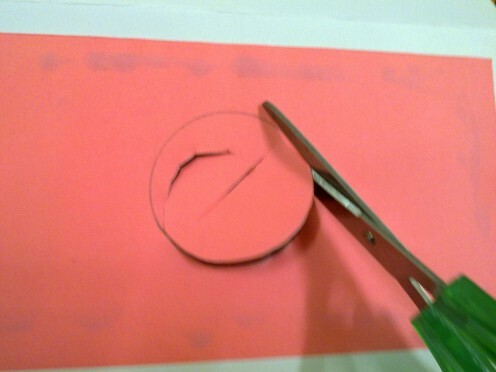 Use the scissors to cut out the hole. 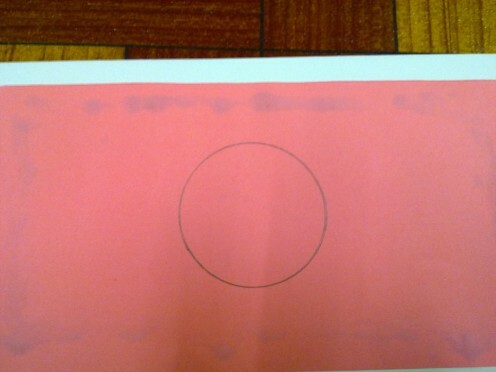 Create a small slit in the middle of the circle and start cutting out the circle. Notice that the front card has a small hole. 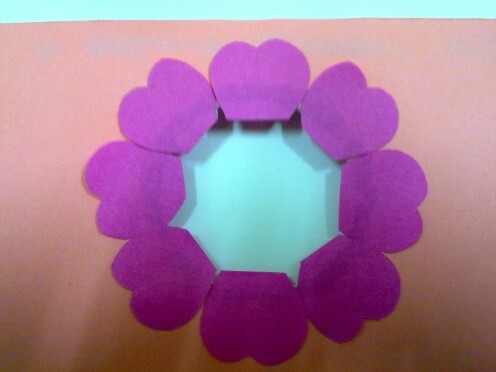 Use left-over dark pink construction paper to make the petals. 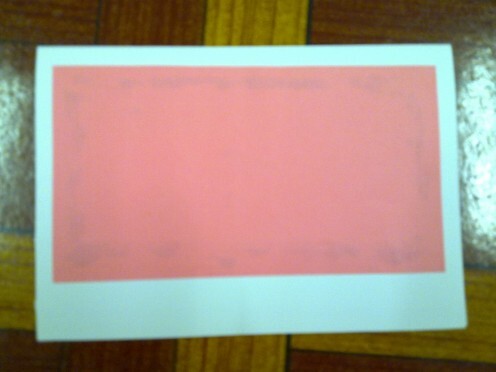 Cut out a strip of paper measuring 1.5 inch x 10 inch. Draw a heart shape, not a full heart. When you draw the heart, leave out the sharp ens. Open up the hearts. You will get 8 petals. Paste each petal around the pre-glued hole. Let the petal point ends bend down, towards the back of the card. You may have extra petals left. Just leave aside. 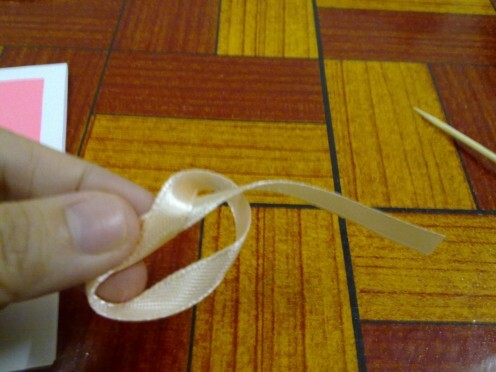 Cut a small strip of ribbon , roughly 3-4 inch. Apply a little glue at the back of the ribbon . Paste it horizontally, just below the petal. Cut another strip of ribbon, roughly 15 inch. 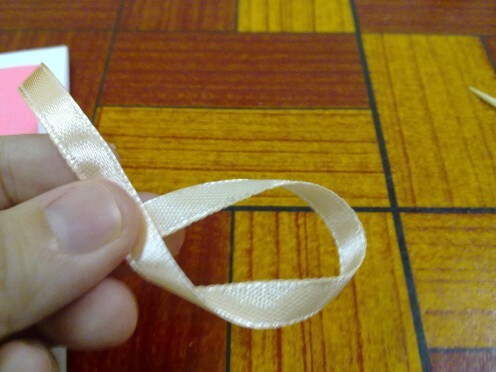 Tie a knot in the middle of the ribbon. 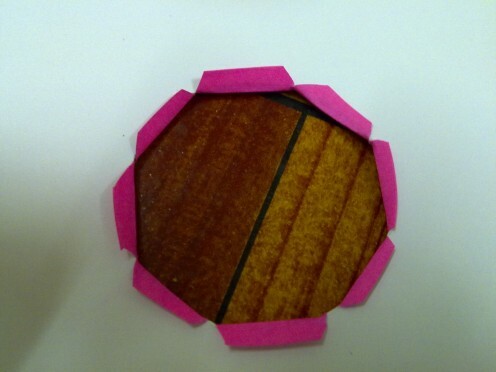 Firstly, form a small circle and loop one of the end of the ribbon through the hole. Pull it up lightly. Do not tie it tightly. Let there be a little bumpy knot as photo shown. 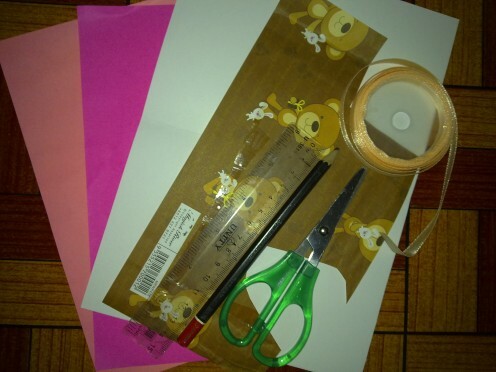 Apply glue at the back of the ribbon. Trim off any excess ribbon. 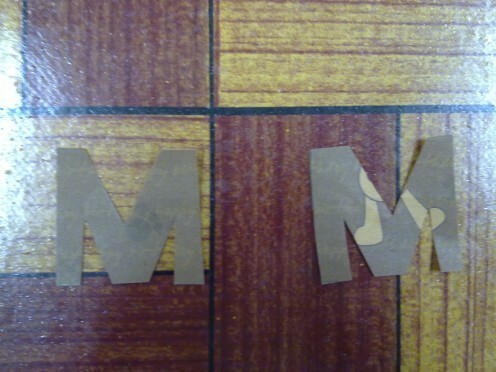 Use the printer to print 2 capital letters of "M" on the gift wrapper. You can draw the "M"s if you are good at drawing. Paste one "M" on the left hand side of the flower and another on the right hand side. Adjust the spacing well. Do not put the letters too close to the flower. Take the extra petals that were unused. Fold each petals into half. Draw a half heart shape. You need to cut 4 tiny hearts. Paste two tiny hearts on the left hand side. 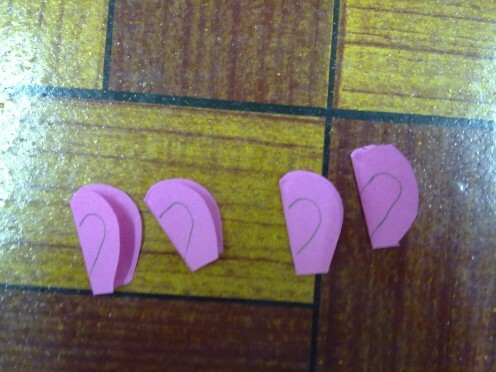 Paste the other two hearts on the right hand side. 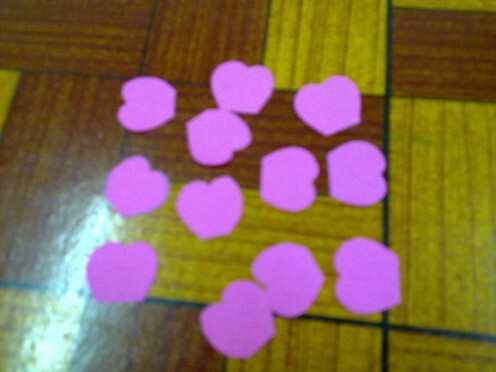 Use a color marker to mark tiny dots around the tiny hearts. Remember to write your selected Mother's Day quote or poem or verses inside the card. You can either draw a heart or write the word "LOVE" in the middle of the hole. This depends on your creativity. Here is the link to my other hubs which feature the quotes that you may like. 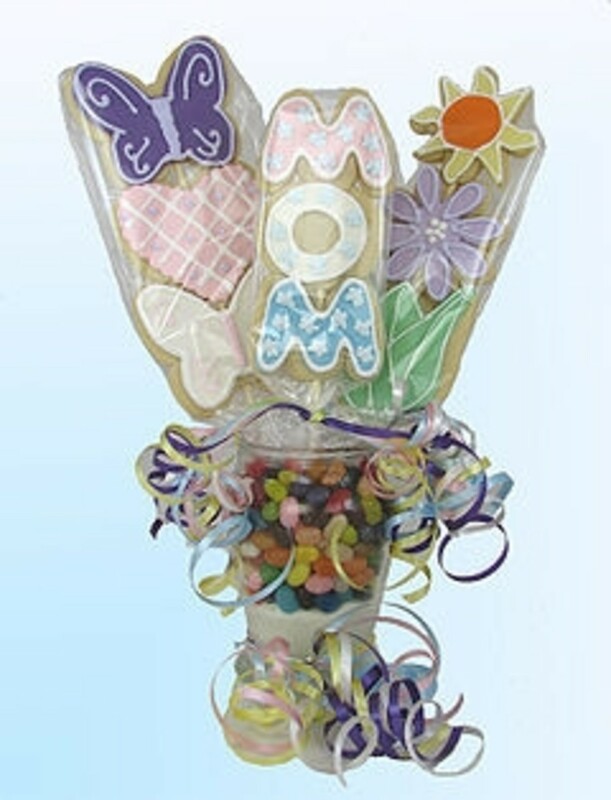 Here's wishing you a "Happy Mother's Day" and happy crafting! Yes, my mom was touched when I gave her the handmade card. She felt special, being wanted and cherished. Peachpurple very nice idea to make card for mother. 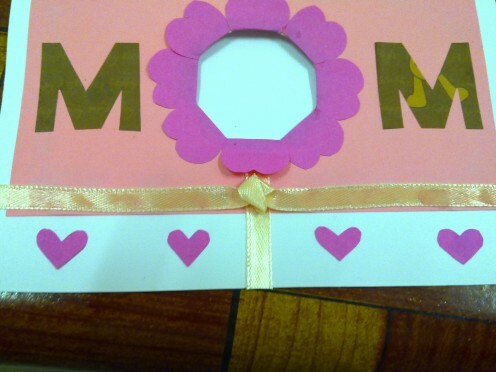 By making card ourself, mother knows how much effort has gone in to making card to make her feel special. Thanks for reading my hub. Glad that you like it. Nice Hub enjoyed reading it. Good idea. Voted Up. 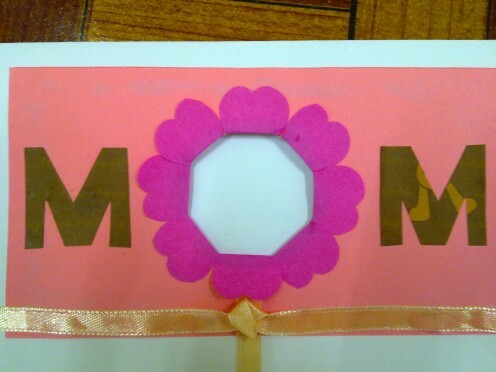 Great idea for a handmade mother's day card. Thanks for sharing!